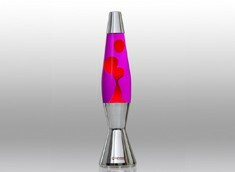 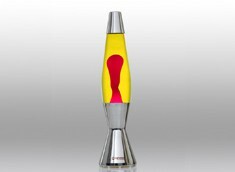 The second lava lamp designed by Edward Craven Walker in 1964 and manufactured by hand in Britain ever since. 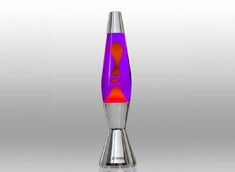 This thinner, sleeker alternative to the astro has a high shine polished base and cap. 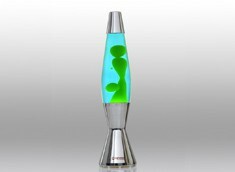 Replacement parts for this design, including bulbs, are available. 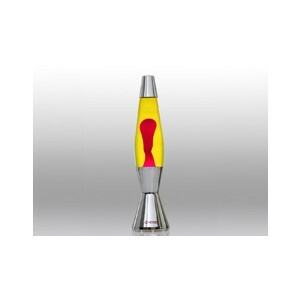 - Height 430 mm - Weight 2 kg - Mains powered Brushed aluminium base and cap, glass bottle.